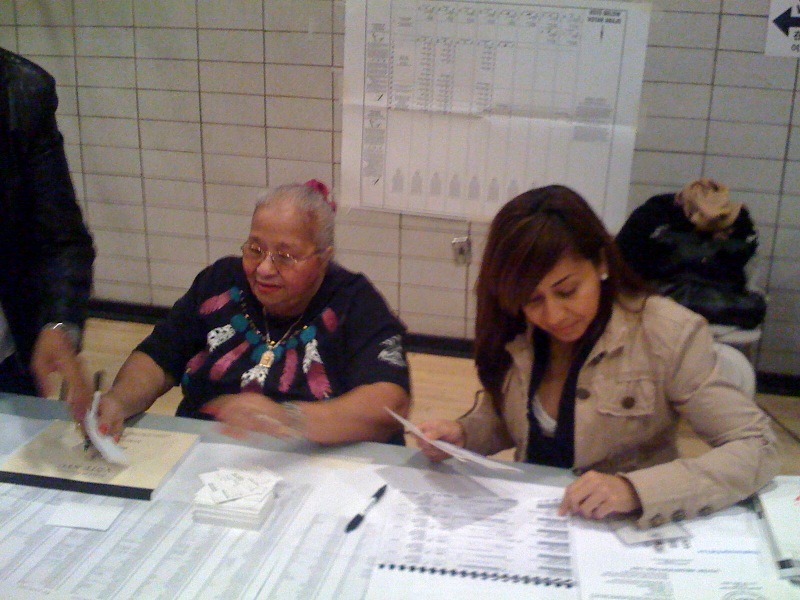 Voting at PS 19 at 325 South 3rd Street in Williamsburg, Brooklyn for the 2008 Presidential election. 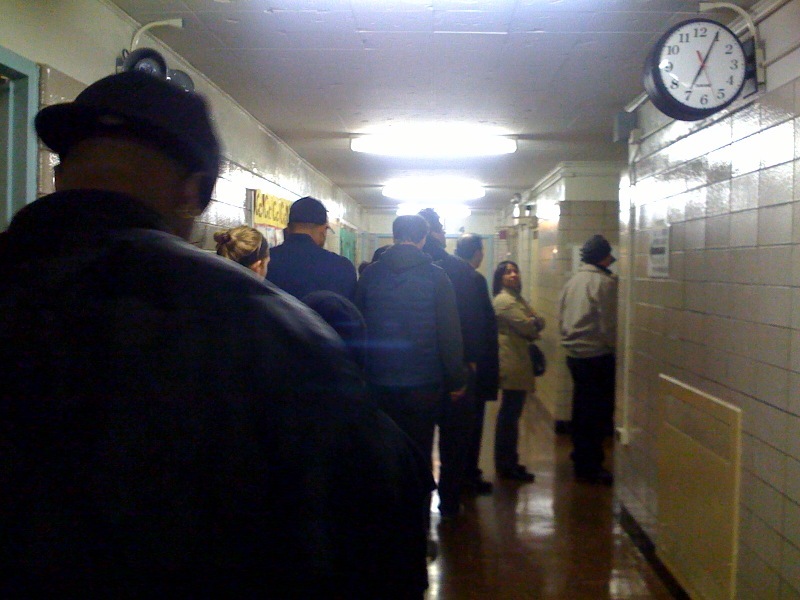 This shows the line in the hallway to get into the voting area. By the way the clock in this photo hadn't been reset it was in fact 6:05 am. 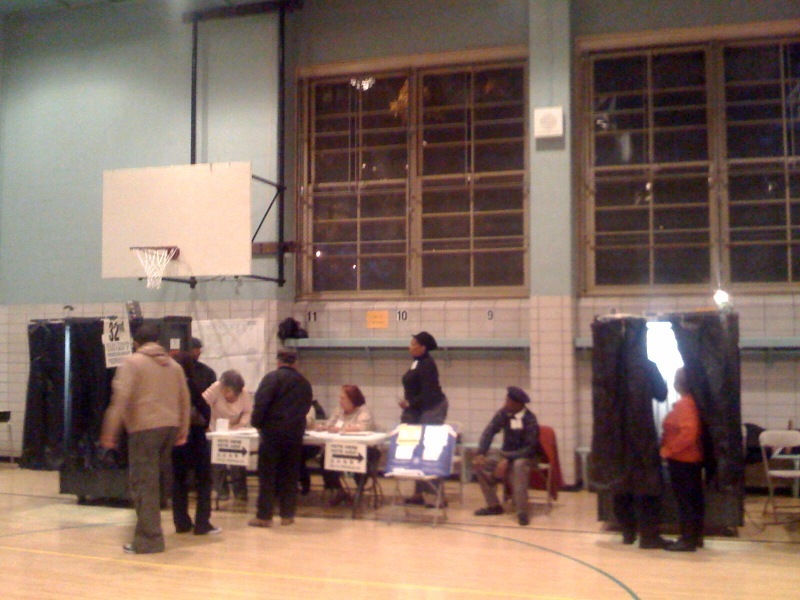 This is the entrance to the voting area where workers rather quickly pointed people in the right direction. 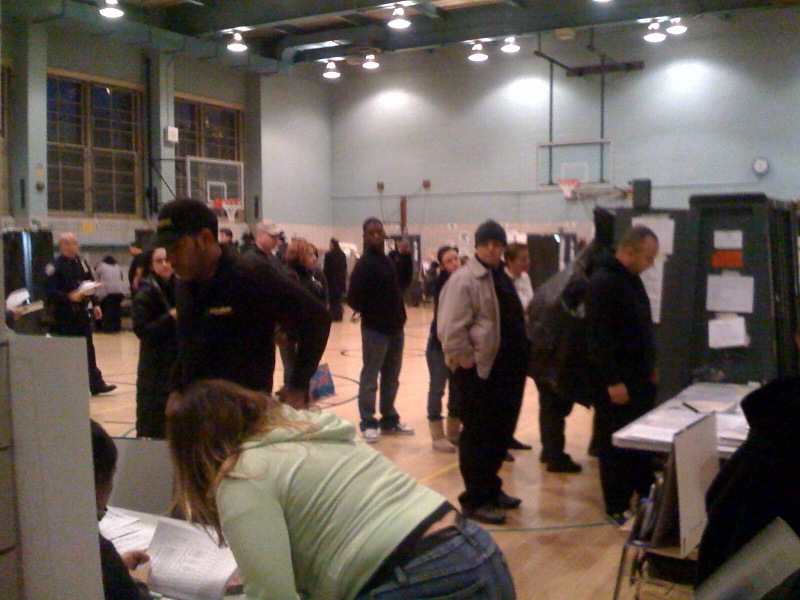 Voting begins: Things look like they're off to a slow start here, but at the entrance folks are starting to line up. Election poll workers look up my name from the previous election. The first time I watched Barack Obama speak was his speech at the 2004 Democratic Convention — and I was blown away. I read his books and in 2007 went to the first meetups. And then came Iowa which surprised me in a refreshing away which was followed by a very long primary season. Then came the conventions, debates and at long last today! This page contains a single entry from the blog posted on November 4, 2008 6:45 AM. 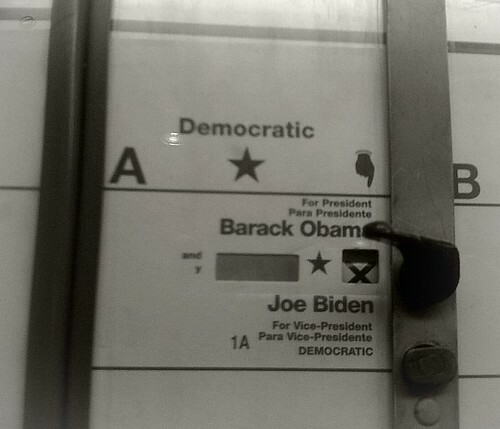 The previous post in this blog was The Williamsburg Nerd Endorses Barack Obama (of course!). The next post in this blog is My Pizza Place (for Slices) is History.